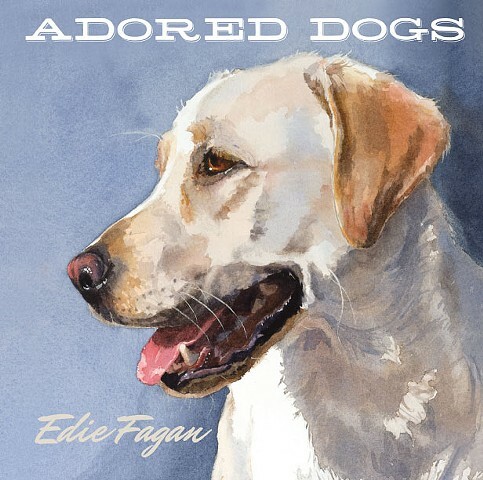 Edie's new book, Adored Dogs, is a collection of 61 watercolor portraits with an endearing biographical sketch of each dog. Click here to see a sample of Adored Dogs. FREE SHIPPING! You will want your own autographed book and get extra copies for your dog-adoring friends and family, too! Adored Dogs is $26.95 - just click on the "Purchase the Book" link above.